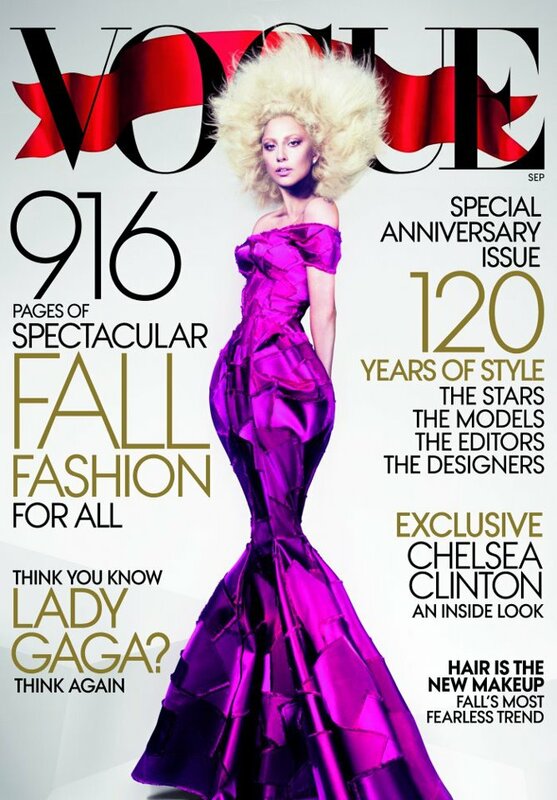 Lady Gaga is featured on the cover of the September issue of Vogue. This week, the pop superstar shared the cover online, giving fans their first look at the singer dressed in a gown by Marc Jacobs. The cover was shot by fashion photographers Mert & Marcus, with styling by Grace Coddington. Now, Vogue is sharing a behind the scenes look at the photo shoot for the cover and inside story images, which features Gaga in a variety of outfits. Currently on a month-long break from the road, Gaga will resumes her Born this Way Ball tour in Sofia, Bulgaria on Tuesday.